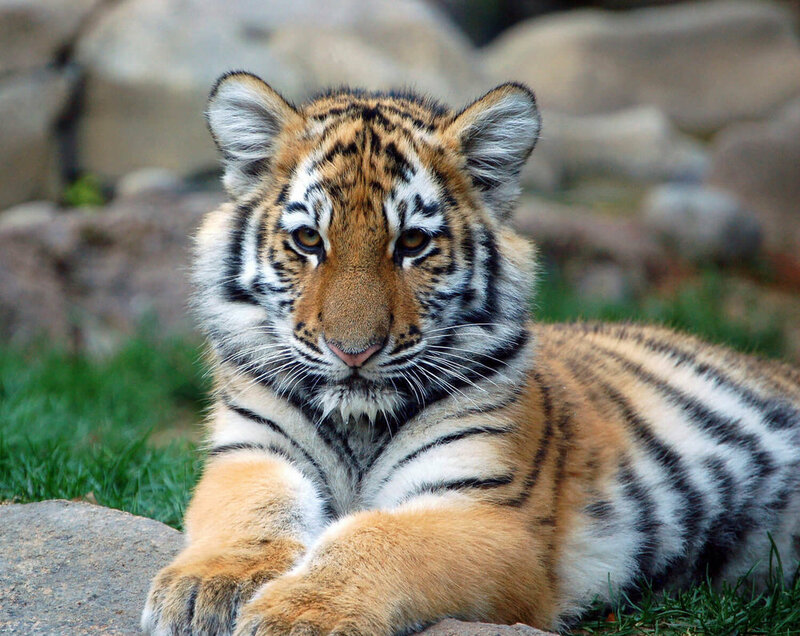 STOPPING WILDLIFE CRIME — HOW CAN I HELP? Wildlife poaching has become a global epidemic. Imperiled wildlife need your help. And you really can make a difference. Larger mammals, birds, and reptiles are being so widely persecuted that they often survive only in a few safe havens — the last remnants of intact, unhunted habitat. Typically, these safe places don’t have roads — for that is how many poachers penetrate the forest to set snares or slaughter animals with automatic rifles. 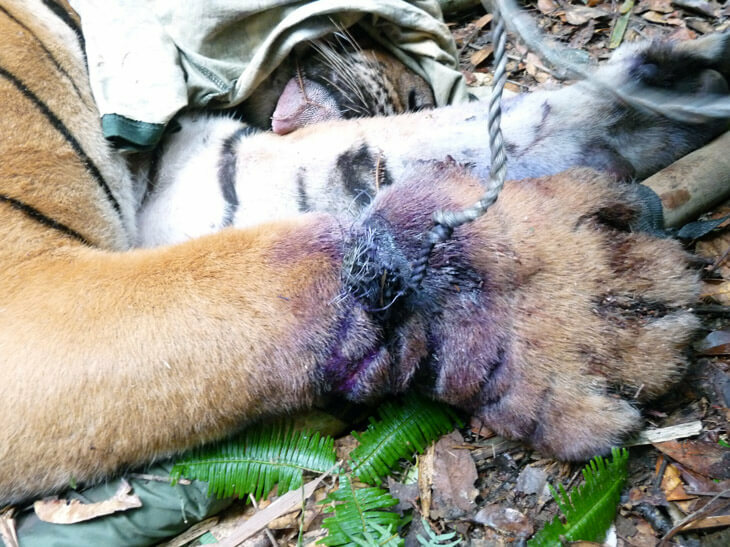 A serious problem with snares is that they’re non-selective: they catch anything that strays into them. 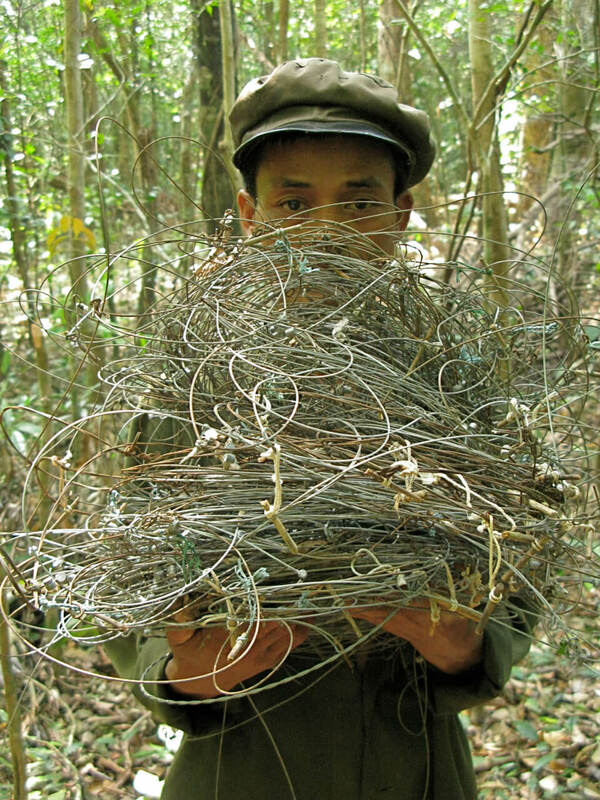 One study found that nearly four out of five animals captured in snares were non-target species. And some scientists believe that, for every one of the millions of animals killed by snares every week, at least one more is seriously maimed. For example, a well-studied tiger in northern Malaysia — a young adult female — was regularly detected by automatic cameras over the course of a year. Then she suddenly disappeared. She reappeared, months later — hobbling along with her front leg missing. She was bedraggled and thin, but she was still alive, somehow. 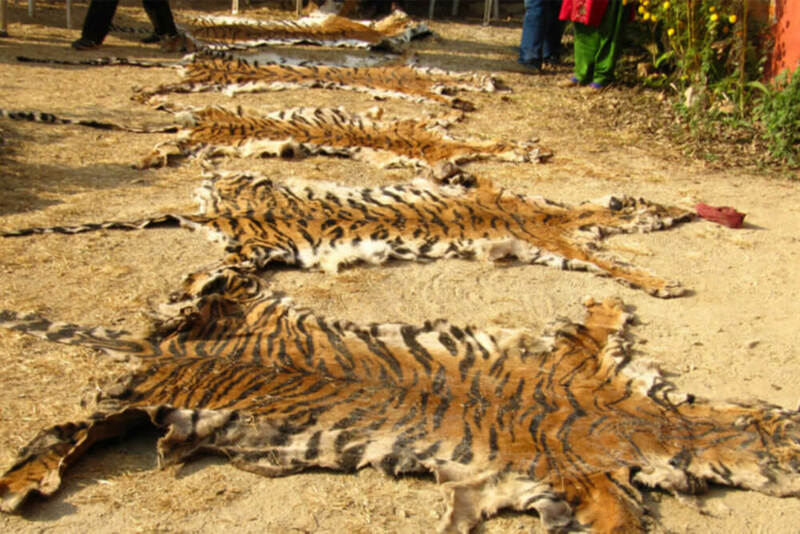 The trade in illegal wildlife and wildlife parts is massive — estimated to be worth over $23 billion per year, one of the most profitable criminal enterprises in the world. Among other organizations, ALERT has been decrying the illegal trade in wildlife — for example, see here, here, here, and here. In particular, we’ve been criticizing China for its enormous illegal consumption — a black hole for wildlife products from around the world. Vietnam, too, is a big wildlife consumer and trafficker, especially of rhino horn. All surviving rhino species are dangerously close to extinction. And in terms of smuggling operations, Singapore and Hong Kong are huge hubs for the illegal wildlife trade, as are other big ports, such as Amsterdam and Miami. They’re not doing nearly enough to stop the torrent of illegal shipments. Overall, thousands of species are being overexploited globally — big cats, pangolins, hornbills, orangutans, gorillas, songbirds, sharks, lizards, frogs, and myriad others. Yet for all the bad news, there’s two very practical things we can do to fight this silent crisis. We can pressure and shame careless, lax, or guilty governments. And we can stop the illegal traders ourselves — by turning them in to the authorities. It’s actually very easy, and you can do it completely anonymously, via programs such as the Global Wildlife Whistleblowers Program. Environmental journalist William H. Funk describes the diversity of new programs here. If we're determined, we can battle professional poachers on the ground, wealthy syndicates reaping huge profits from wildlife crime, and corrupt government officials turning a blind eye. We don’t have to watch our wildlife disappear. We can stand tall and do something about it.